August 13, 2018, 3:30 p.m.
It’s not a phrase that Americans are used to hearing said about Americans, but the President has used “enemy of the people” many times in reference to the media, to “fake news,” and to the “fake news media.” He used it as early as the first month of his administration and as recently as a tweet last week. In the last few days, members of his administration, including his daughter Ivanka, have been asked their opinion. Ivanka Trump and White House Counselor Kellyanne Conway disagreed with the characterization, while Press Secretary Sarah Huckabee Sanders did not give a direct answer. What about the public? In the latest Economist/YouGov Poll, just 18% labeled the media as an enemy of the American people, but about the same percentage said it was unfriendly. More than a third of Republicans call the media an enemy; even more of those who voted for President Trump in 2016 say that. 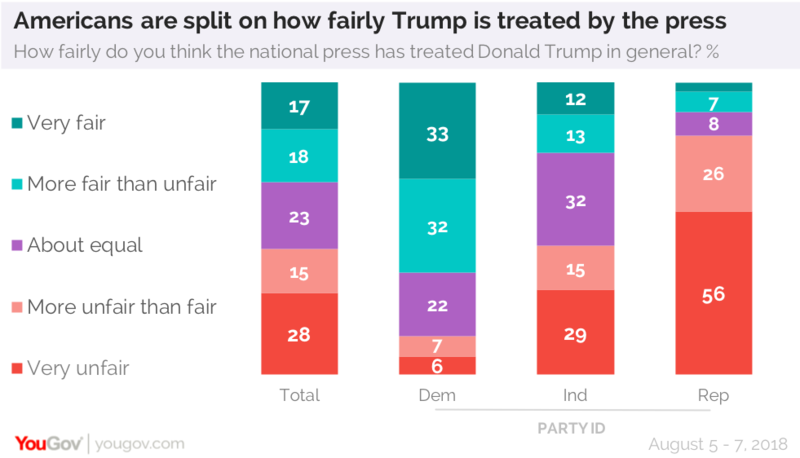 Large majorities of Republicans and Trump voters say the press is unfriendly or an enemy of the American people. Russia, North Korea and Iran are more likely to be thought of as enemies by the public overall and by Republicans. But fewer Republicans label China as an enemy than would choose that term when asked about the press. 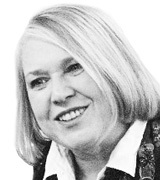 There is awareness of confrontations between the news media and the President. More say the media has treated Donald Trump unfairly than say the opposite. More than eight in ten Republicans see unfair treatment. The President criticizes the media on Twitter: he has done so about 250 times since February 2017. “Enemy of the people” has appeared in only seven tweets in the same period. But both reference the press. Americans find those Twitter criticisms inappropriate. They also object to excluding media representatives the President might be unhappy with from presidential events and press conferences. 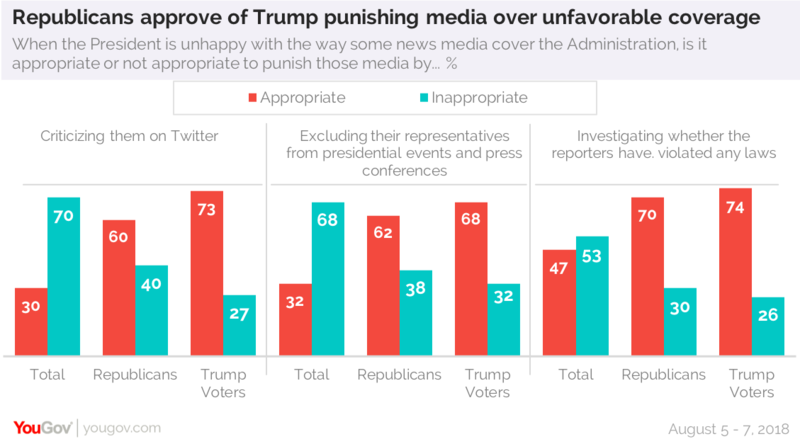 There is more support for investigating reporters to see if they have violated any laws, though more think it is inappropriate than support such actions. Perhaps that is because investigating doesn’t seem as harsh as verbal attacks and job-related restrictions. Republicans, as well as those who voted for the President in 2016 are especially willing to accept these punishments for the media. Democrats and independents oppose each of these actions. Who people believe is also dependent on their politics. Only 32% overall say Donald Trump is honest and trustworthy (many more Republicans, 76%, think that about the President). In disputes over the truth between Donald Trump and several mainstream news outlets, the public sides with the news media. But Republicans overwhelmingly say they would believe the President.